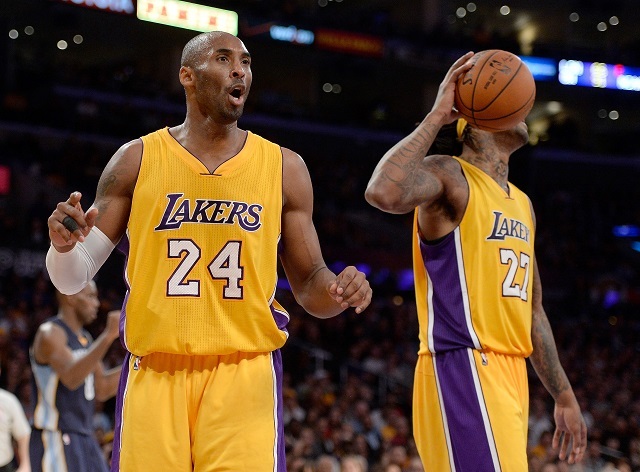 The 2015 NBA free agency period is shaping up to be quite the spectacle. Storied franchises are struggling to land players while smaller market clubs — with their developed basketball philosophies — are beginning to be viewed as appealing destinations for big-name talent. Welcome to the modern National Basketball Association where tradition is nice, but evolution is king. On the second day of free agency, we touched on the developments within the Central Division. The Cleveland Cavaliers and the Chicago Bulls made great strides toward keeping their talented cores intact for the upcoming 2015-16 season. Yet, we found ourselves even more impressed with the moves of the Milwaukee Bucks. This organization is clearly heading in the right direction. The players are young, talented, and hungry for success. The deer will soon be feared. With Day 3 now in full swing, it’s time to turn our attention to the Western Conference. A lot of clubs are making moves. Some decisions are proving to be better than others. Since the Golden State Warriors flexed their muscles in the 2015 NBA Finals, we feel they’ve earned the right to garner our focus first. Therefore, as the 2015 free agency period continues to pick up steam, this is your Cheat Sheet to the Pacific Division. After winning a NBA-best 67 games in 2014-15, the only way the Golden State Warriors could validate their success was by taking home a title. Let’s be real, if you can’t cut it in the postseason, then you’ll never be considered among the game’s greats. 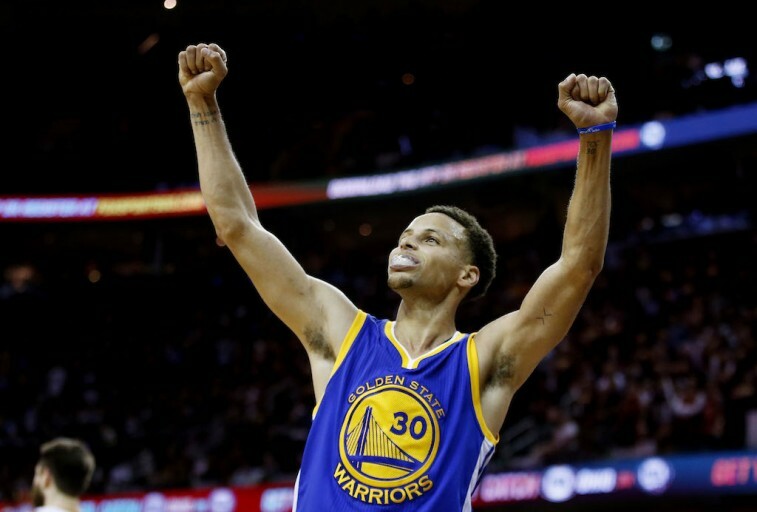 Fortunately for Dubs nation, MVP Stephen Curry started cooking, swingman Andre Iguodala had the series of a lifetime, and the Warriors overcame the one man wrecking crew that was LeBron James to capture the franchise’s first championship in 40 years. With teams in the Western Conference consistently getting better, Golden State couldn’t afford to slip up in this free agency period. However, for a group that’s already established incredible chemistry, the main thing this organization needed to do this offseason was keep it’s core nucleus in tact. So far, so good. 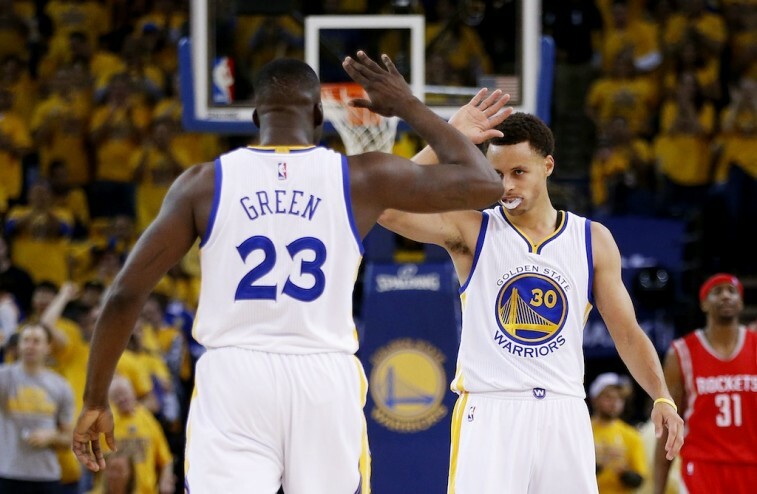 On Wednesday, small forward Draymond Green announced he was re-signing with the NBA champs. His numbers — 11.7 points and 8.2 rebounds per game in 2014-15 — don’t necessarily match someone deserving of an $85 million deal, but he’s the kind of player the Warriors can’t replace. He’s strong, intense, can drill the three, and hustles like there’s no tomorrow. Green is arguably the heart and soul of this team and the Warriors needed to keep him in the Bay Area. We’d say he’s rather thrilled with the new contract. “Proud to say that I’ll be a Warrior for at least the next five years,” Green said in a video posted to Bleacher Report. “It’s been a long journey to get to this point. Always trying to overcome the odds, overcome doubters. Next up: Defending the crown. Following a devastating loss in the Western Conference semifinals, the Los Angeles Clippers needed to make the necessary the adjustments to overcome their latest setback. Right now, the biggest question mark surrounding this team is what’s going to happen with center DeAndre Jordan. According to Yahoo Sports’ Adrian Wojnarowski, the 26-year-old is “truly 50-50″ and “torn” between the Mavericks and Clippers. So as that decision looms large, the Clippers did manage to reunite coach Doc Rivers with one of his former star players. 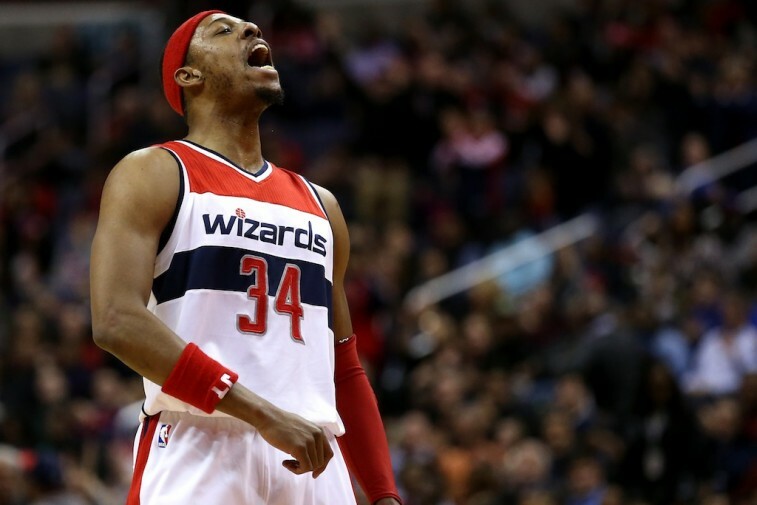 Paul Pierce is heading home to Los Angeles on a reported three-year, $10.6 million contract. With Pierce on board, the Clips now have another veteran presence with championship experience on the roster. His swagger, confidence, leadership, and affinity for knocking down big shots, will be invaluable for an organization hoping to take the next step in its evolution. That’s The Truth. The Sacramento Kings have a monumental hurdle to overcome if they ever hope to right a ship that has been off course for what seems like an eternity: Themselves. 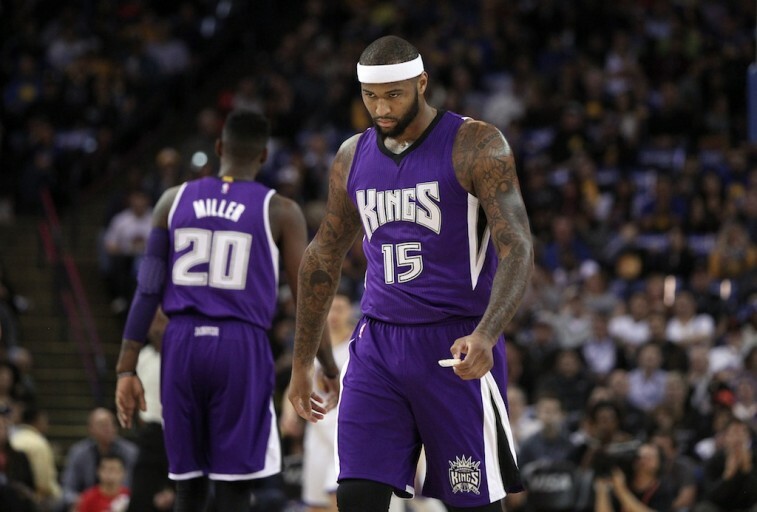 The tensions between coach George Karl, the Kings front office, and All-Star DeMarcus Cousins haven’t reached a combustable level; not yet, anyways. It appears only a matter of time before the walls come crashing down. On top of that, the recent salary dump to the Philadelphia 76ers screams of desperation. For its own sake, Sacramento better be able to bring point guard Rajon Rondo into the fold. After all, with swingman Wes Matthews electing to join the Dallas Mavericks rather than accept a four-year, $64 million offer from the Kings, this franchise really can’t afford to strike out again. The Phoenix Suns have shown themselves to be legitimately players so far this offseason. Not only have they been aggressive spenders, but their recent trade with the Detroit Pistons showed their intelligence from a cap perspective. Phoenix’s moves thus far could very well be enough to lure prized power forward LaMarcus Aldridge to the desert. Let’s see what else they’ve done to better the franchise. Brandon Knight is a scoring point guard who is still young enough — 23 years old — to develop into an even better player. This past season with the Milwaukee Bucks and Phoenix Suns, the former Kentucky Wildcat averaged 17.0 points, 3.9 rebounds, and 5.2 assists per game, and his pairing with star Eric Bledsoe could give the Suns a very formidable backcourt. Reaching an agreement on a four-year, $52 million deal with veteran center Tyson Chandler goes a long way toward showing the Phoenix Suns mean business. With young and effective guard play, a well respected big man prepared to protect the rim, and a desire to be competitive now, the Suns may very well be the perfect landing spot for Aldridge. It seems the Lakers drafted stud point guard D’Angelo Russell with the No. 2 overall pick in this year’s draft in part because they believed Los Angeles would be a great destination for the top bigs in this 2015 free agency period. However, it would appear they’ve miscalculated the appeal of the glitz and glamour of Hollywood.